This 2 day hands on training experience will take the stylist through designing looks to best compliment the face shape, hair texture and overall creativity. 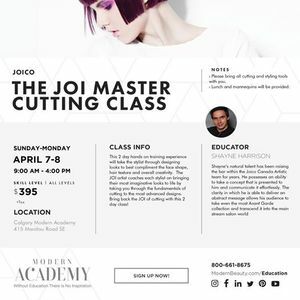 The JOI artist coaches each stylist on bringing their most imaginative looks to life by taking you through the fundamentals of cutting to the most advanced designs. 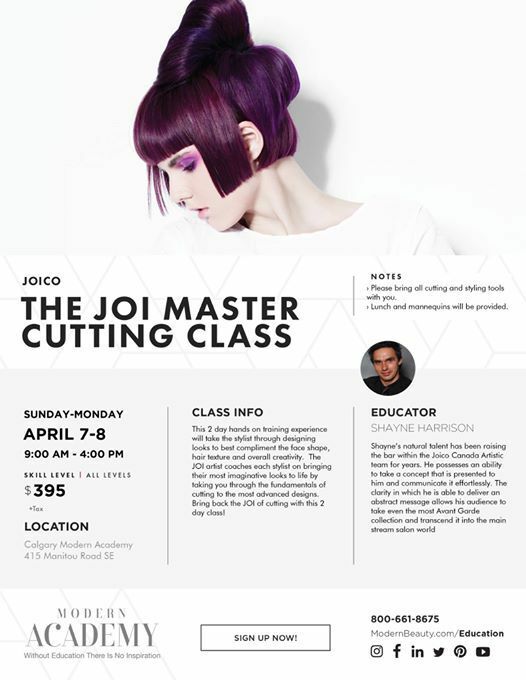 Bring back the JOI of cutting with this 2 day class!